With over 100 years of experience, our customers enjoy the benefit of a one-source supplier for all consumables, en¬vironmental and process control equipment as well as on-site technical and business support. 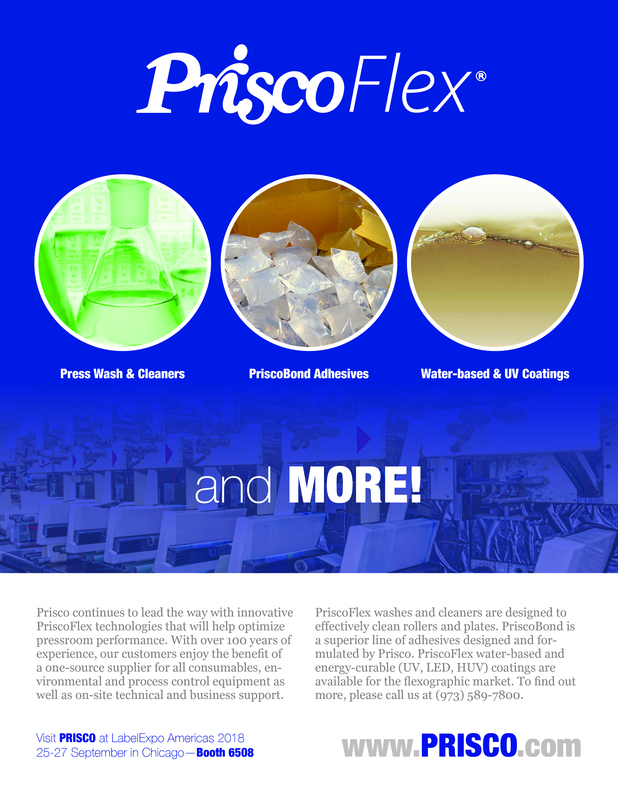 PriscoFlex washes and cleaners are designed to effectively clean rollers and plates. PriscoBond is a superior line of adhesives designed and for¬mulated by Prisco. PriscoFlex water-based and energy-curable (UV, LED, HUV) coatings are available for the flexographic market.